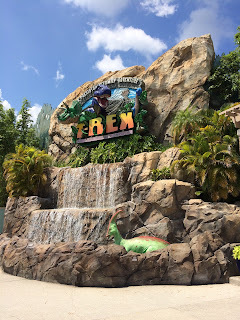 T-Rex is a fun restaurant located at Downtown Disney. With its dinosaur theme, it is a favorite of young boys, including our son. 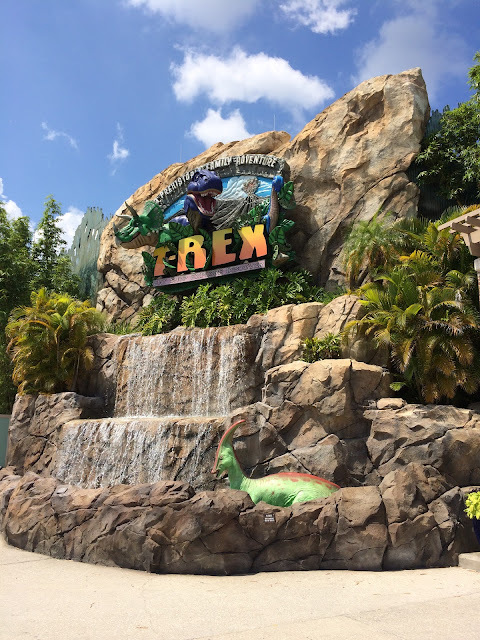 The company that owns T-Rex also owns the Rainforest Cafe, as well as Yak and Yeti at Animal Kingdom. I took this picture on a very sunny day last week.